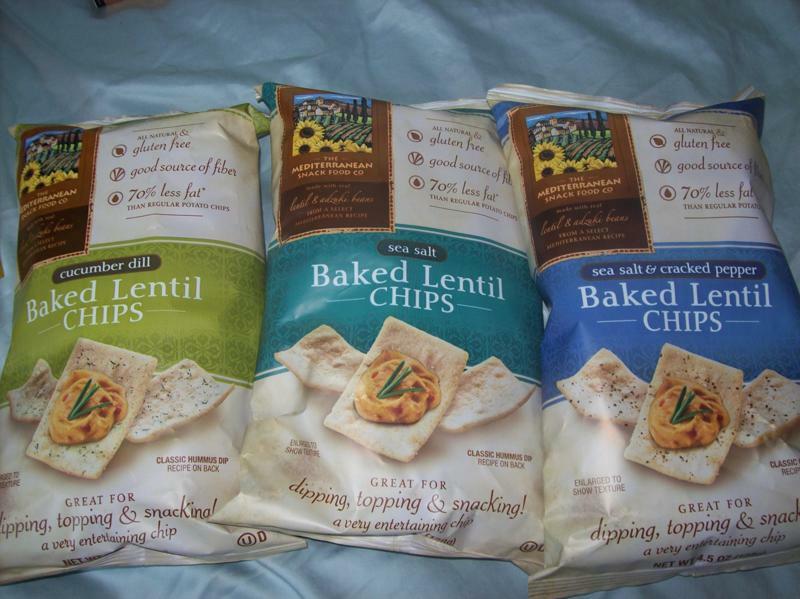 Mediterranean Snack Food Company sent me some of their baked lentil chips for review. The chips are very tasty and I especially liked the cucumber dill flavor. They are light in weight chips that can be eaten alone or with other foods. They are all natural and have 70% less fan than other chips. Here is what the company has to say: Discover Baked Lentil Chips, the first snack to deliver the great taste and healthy benefits of lentils, adzuki, and garbanzo beans. Made from a select Mediterranean recipe, this savory all natural snack is made with 100% gluten free ingredients, has 4 grams of protein, and 3 grams of fiber & fat in each crunchy serving. Giveaway: Mediterranean Snack Food Company will be giving away a mixed case of Baked Lentil Chips containing 4 bags Sea Salt, 4 bags Sea Salt & Cracked Pepper, and 4 bags Cucumber Dill chips to one lucky reader! The giveaway is open until Midnight on Friday August 27th. Winner will be chosen on Saturday August 28th using Random.org. Mandatory: Tell me the kind of baked lentil chips that you most want to try. -Become a fan of Mediterranean Snacks on Facebook and leave a wall post linking back to this giveaway. I would like to try the cucumber dill! 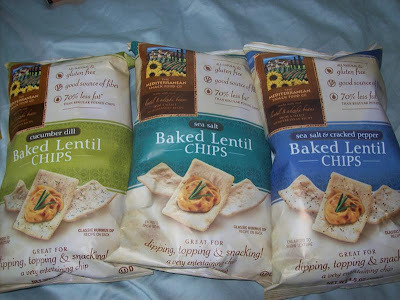 I love lentils and would LOVE to try lentil chips :) The sea salt and cracked pepper ones look amazing! I'd love to try the sea salt flavor! Hi! Thanks for stopping by my blog...peaceFULLYsimple. Hope you visit often...and I love comments! Looking forward to reading your posts, as well. I entered the My Lip Stuff giveaway! I'd love to try the sea salt and cracked pepper. Mmmm that sounds great! I'm following you. Oh, and my email is sheila (at) maviefolle (dot ) com. I'd love to try the vegetable medley! found you on another blog. I would like to try the sea salt and cracked pepper chips! Oh I so hope we in Canada can go in on this - I did not see US only LOL :) I would eat the Cucumber Dill first for sure, I love that combo, these sound so good. I miss chips alot - I have lost 100 pounds this last year and almost never eat chips anymore so would love a nice crunchy snack treat! that is "safe" by that I mean not tso good that I can't stop and yet still yummy and satisfying. These sound great! I'd love to try the Sea Salt...although Cucumber Dill sounds good. Never saw any kind of chip in that flavor. Thanks! I'm CRAZY for Mediterranean Snack Food Company's Sea Salt & Cracked Pepper Chips! And I signed up for blog through email @ dsharp64@yahoo.com. Woo~Hoo! I would like to try the Sea salt & pepper ones! I would like to try the cucumber dill flavour. I think I found your site through another blog. sea salt and cracked pepper YUMMM!! Oh my gosh...hope this is for Canadians too. I would love to try the Cucumber Dill the most but they all sound so healthy and yummy!! I left a note on their facebook page. I left a comment on the Have you tried making your own hummus? post. I'd love to try the salt and pepper chips! Would love to try the sea salt and pepper! I found your giveaway on the One To Try Linky. I'd like to try the sea salt & cracked pepper! I'm subscribed to your blog via Google Reader! I found your blog from the Paws to Click Facebook page! the cucumber dill ones sound amazing! I also entered your My Lip Stuff Lip Gloss Giveaway! I fould your blog after you started following me! I most want to try the lentil chips cucumber dill. Thanks. I would like to dry Lentil Chips Cucumber and Dill. I entered Lipo in a Box Giveaway. I most want to try the Sea Salt & Cracked Pepper! So different! I would love to try Multi Grain chips !